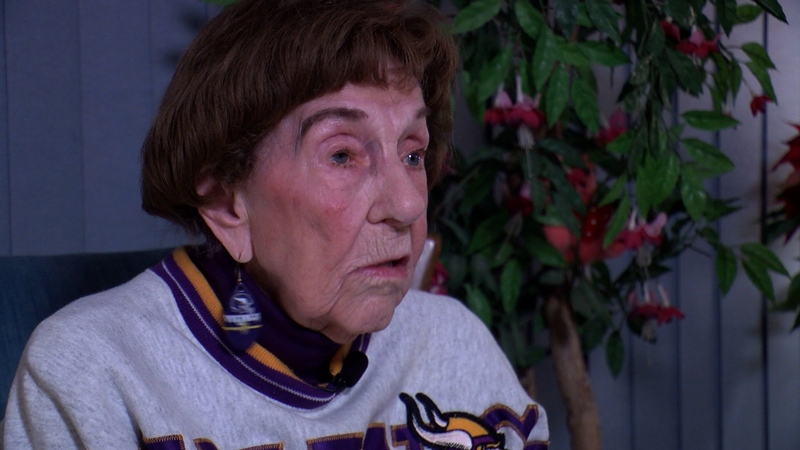 One of the best stories of the playoffs for Vikings fans was living through die hard Vikings fan Millie – a 99-year-old who got the attention of the team and fans alike. It was a great story while it lasted, but as we know the Vikings season is over after Sunday’s blowout loss to the Eagles in Philly. Millie’s granddaughter put out a statement about her grandma after the game as a show of ‘thank you’. STATEMENT: Millie Wall and our family would like to extend our sincerest thank you to the Minnesota Vikings, the NFL, and the community for following her story over the last few weeks. We would also like to congratulate the New England Patriots and the Philadelphia Eagles on their trip to Super Bowl LII here in our home city of Minneapolis on February 4, 2018. Our family and the state of Minnesota look forward to welcoming both teams and their fans to our community over the next couple of weeks. Millie Wall continues to remain a huge fan of the Minnesota Vikings, despite the loss this evening against Philadelphia. Her fandom, positivity, and support of the team will continue in the off season and into next season, where she is hopeful for another incredible season like this one. Thank you again for your continued support and love for Millie Wall. Of course that didn’t stop disgusting Eagles fans from attacking Millie, putting out NSFW signs that said ‘F$ck Millie’ – again showing why they are the worst fans in all of sport. I know the vikings lost but it seems that the eagles fans are the real losers picking on a beautiful 99 year fan of the vikings. The eagles will lose the bowl in minneasote. We get the last laugh. Why leap so low to pivk on a99 year old. Some eagle fans or what you call human beings are so disgusting. Love you Millie. God bless.